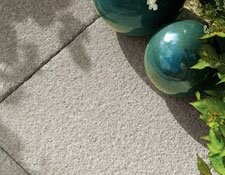 A stylish and ethically sound alternative to natural stone, our range of manufactured, or reconstituted, stone paving, walling and edging products give your imagination all the help it needs in constructing your ideal stone feature. 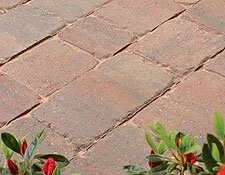 This distinctive block paving solution is ideal if you're looking to give your driveway a predominantly traditional and rustic feel. 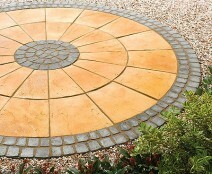 Can be used to create a natural stone courtyard effect. Priced per mÂ². The quality look and feel of Old Riven, along with a choice of five attractive shades and circle options, belie its inexpensive price tag. Paving with a coarse, textured granular finish, offering excellent slip resistance. 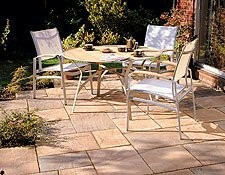 Ideal around swimming pools as well as patios and paths.